I'm looking in to buying a certain type of Bulldog. But being a newby towards dogs I have not the faintest on whats what, so.. 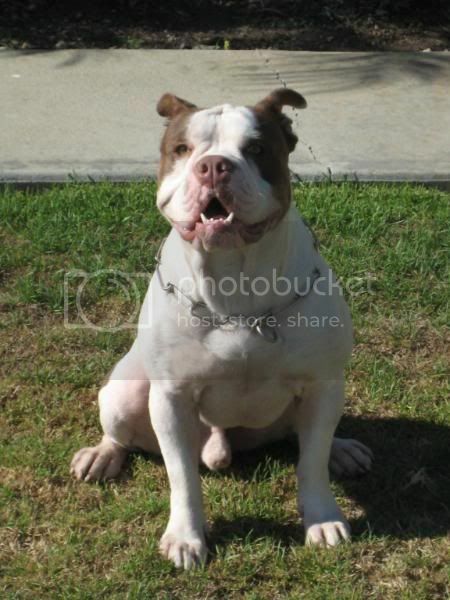 The type of dog I'm looking for (I think) is called an Old Style English Bulldog, or is it Old Thyme Bulldog, or even a Old English Bulldog??? 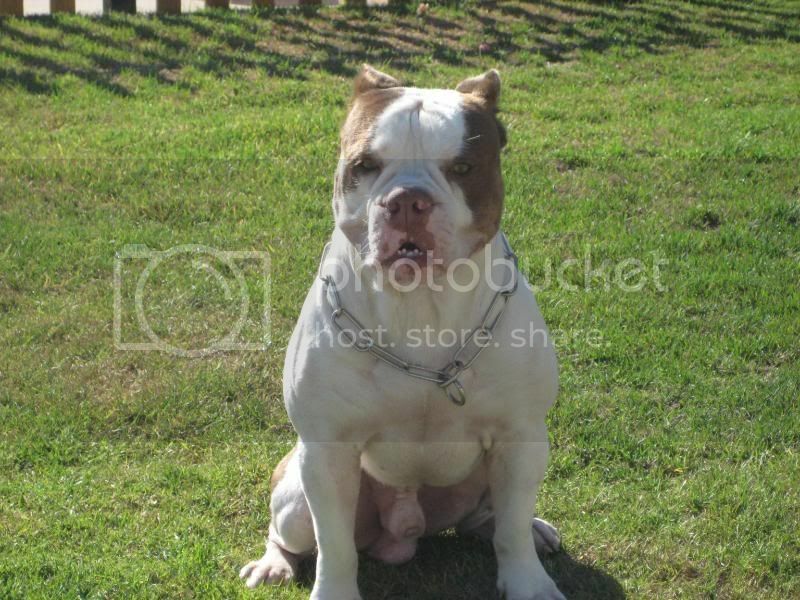 I was talking to a guy who actually owned one of these dogs, (this is what made me go look for one)and he said they don't have the breathing issues that one particular type of Bulldog have and also can be walked more as well. Now what I know is this, Its not the type that have the bottom teeth showing, but thats all i know really. So with your help I can learn more about the dog I'm looking for and this may even help me find one..
What I would suggest is that you go to the library and get some books on dog breeds. You really need to research the breed thoroughly of any dog that you might wish to own. Have you had dogs before? There are so many questions to ask - will you leave the dog alone at all? What kind of lifestyle do you have, etc. etc. No Never owned a dog before, and no, not rushing into anything either, we have a family of 3 boys, both myself and wife are over 40 and will realy look into this type (or any type) of dog will suit us, we are very mature about our decisions. Well I work flexy hours as I own my own business, my wife is in by 3pm and im generally around, I have a nice sized garden in a Cul-De-Sac, and a young lad who is chomping at the bit (so to speak) to get a doggy. I can't help you with bulldogs - my BIL had a number of bulldogs and they all died too early sadly! I think two were epileptic and I know some of them had respiratory problems. Having said that though I don't know if they were the same as the ones you are interested in. I think we've got some members who own bulldogs so you will probably get some good advice from them. If you've three boys it might be worth thinking about a breed that likes a lot of exercise. Any hope that you might get a shelter dog? Hi Arv the Pie and welcome to the forum. 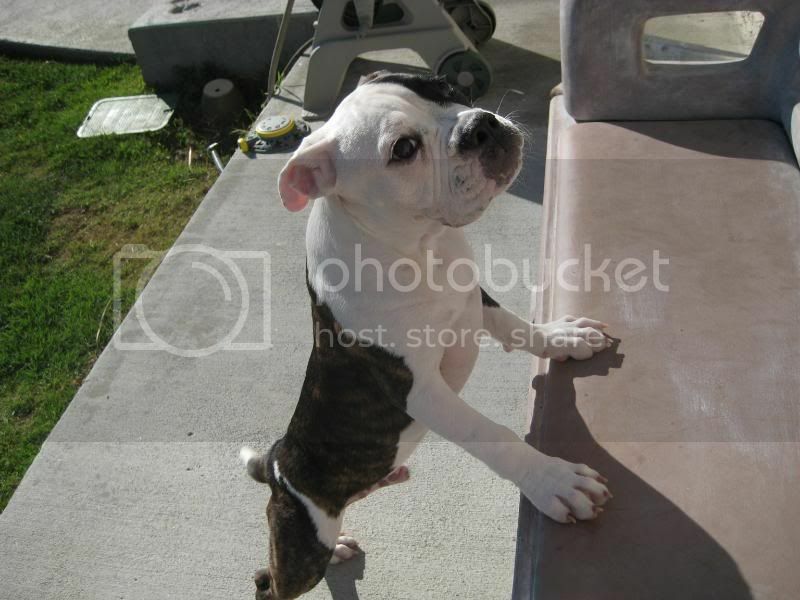 I owned an Old English Bulldog in my Gallery her name was Brita, now gone. The sweetest, not a mean bone in her. They are not the brightest, but loving, caring and just couch potatoes. Not alot of energy, slow, but they do learn and love their owner much.... Look in the photo gallery for sheplovr and Brita, she was not a large one as we took the runt feeling sorry for her.. This is perfect, just what we were looking for thanks..
Old English bulldogs are what has been bred out of the bull baiting dogs of England. Olde English bulldogges (note the spelling) are an attempt at bringing the English bulldog back to the way it used to be. 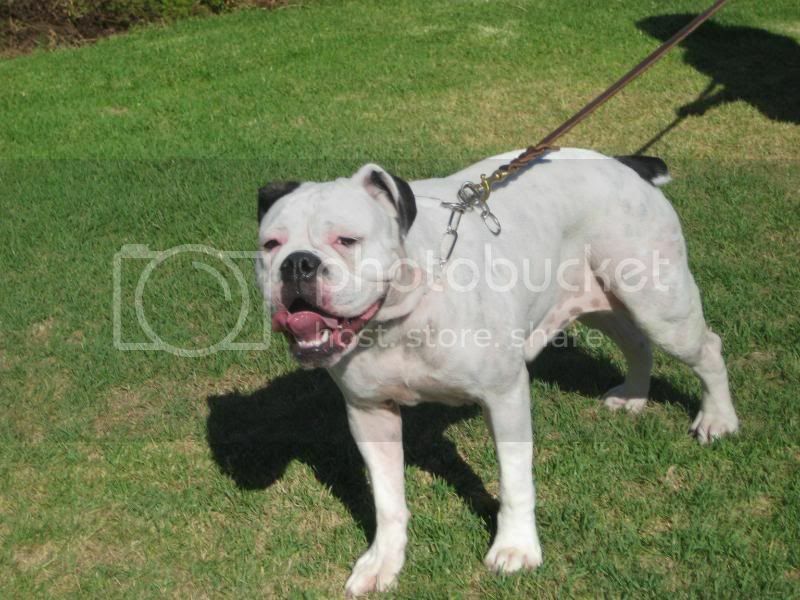 They are basically English bulldog crosses-crossed back with staffies or small americans several generations back. The biggest difference is the olde variety is a free breather because his face isn't so mushed in, a free breeder/whelper-English bulldogs need help, their are more athletic with straighter longer legs. There is no AKC or CKC registry for the olde types. Only a generic "bulldog" registry. The bulldog you're looking for could vary from OEB, to Alapaha, to Old Time Bulldog, to Victorian, Hermes, Leavitt, Renascence... 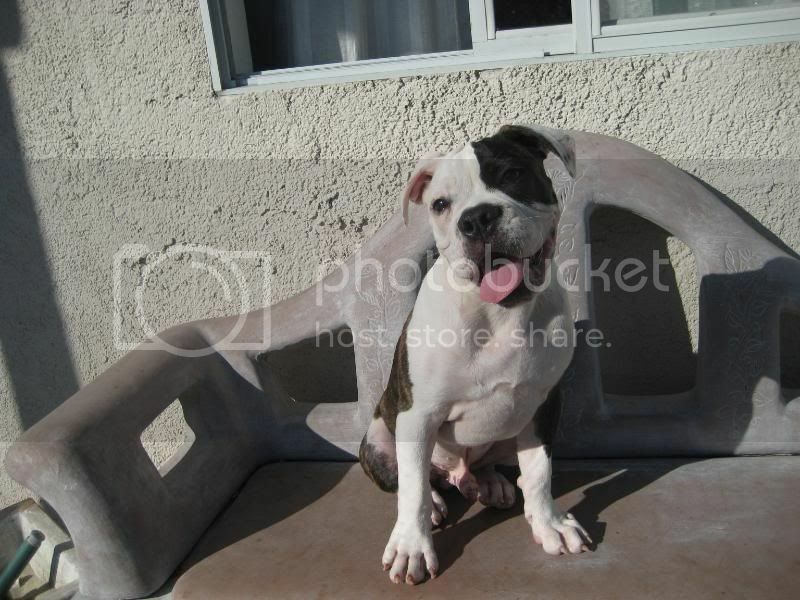 The OEB (Old English Bulldogge) name is just the umbrella name for all these alternative bulldogs. Each of them is branched out into their own chapters which gives them a more specific name. You will notice as you do some research the differences between all these types. 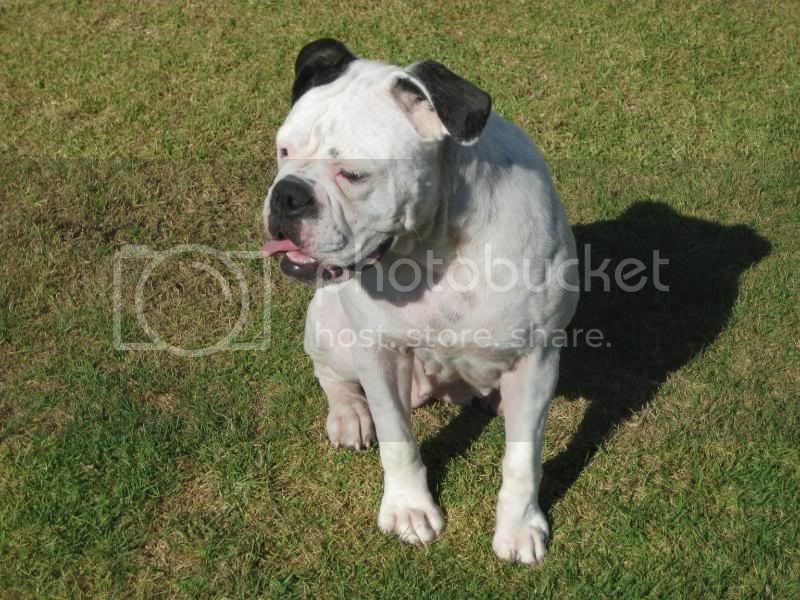 I currently own 3 Bulldogs that were registered under the RBKC (Renascence Bulldog Kennel Club), but due to political issues I am now with the OTBA (Old Time Bulldog Association). So you can see where things can get confusing, especially for someone like yourself that is just getting started in the bulldog world. I can give you more specifics if you're still interested. Arv here are some pics of my crew, these are originally Renascence Bulldogs, but are now registered under OTBA (Old Time Bulldog Association).